Washington State University President Kirk Schulz has elevated the university’s Entrepreneurial Faculty Ambassadors program to a Presidential Task Force status and appointed associate professor Amit Dhingra to lead the program. The moves signify the increased institutional emphasis WSU is placing on efforts to translate university research into products and services that benefit the public. The Entrepreneurial Faculty Ambassadors (EFA) program was created in 2016 as a resource for faculty interested in starting a company or developing technologies for the marketplace that help create jobs and improve quality of life in the communities WSU serves. The program’s new, broader mission will include support for activities outside of the traditional startups and technology transfer associated with producing community-based societal and economic impact. The EFA’s elevated status and new mission are based on recommendations from WSU’s external review of innovation and entrepreneurship activities (ERIE) at its campuses statewide, published in February. The actions implemented better align the EFA program with the university’s “Drive to 25” initiative to become one of the nation’s top 25 public research universities by 2025, and WSU’s commitment to developing innovations for the prosperity of the state of Washington and beyond. “With this broader mission and presidential mandate, the EFA is evolving to nurture a larger community of creative innovators and entrepreneurs,” Dhingra said. 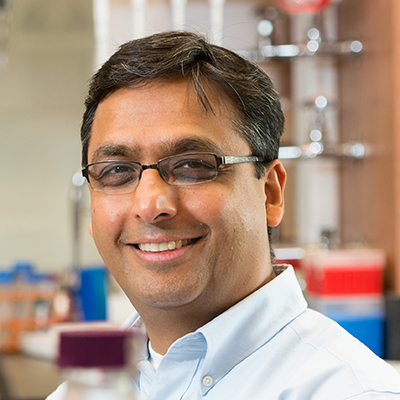 Dhingra replaces Glenn D. Prestwich, the Chancellor’s Distinguished Visiting Professor, WSU Spokane and Presidential Professor of Medicinal Chemistry and Presidential Special Assistant for Faculty Entrepreneurship at the University of Utah. Prestwich served as the ERIE team leader and helped launch the EFA in 2016 based in part on the entrepreneurial faculty scholar program that he developed at the University of Utah. The 11 inaugural EFA members spent the first year evaluating the type of resources that would be most valuable to the university community. During that process, the ambassadors realized there were entrepreneurial activities beyond traditional technology transfer taking place across campuses that should be supported by the group as well. While the EFA will still support researchers through the technology transfer process, they will also support endeavors such as developing community programs, publishing guidebooks or other activities that make positive economic and societal impacts through workforce, innovation or community development. The EFA is launching recruitment efforts to include more faculty from all colleges and disciplines, recognizing that addressing global and community needs will involve the arts, humanities, and social sciences. The ERIE report and EFA also support WSU’s role as a designated Innovation and Economic Prosperity University by the Association of Public and Land Grant Universities. The designation recognizes WSU’s efforts to support regional economic development and community engagement.